The Arena is an arcade style urban combat arena in Tulagi. It’s geared for infantry and tank combat. It’s the perfect place to do combat without being bogged down by RP limitations. You don’t need to ally yourself to Allied or Axis, you don’t need to sign up to any group. 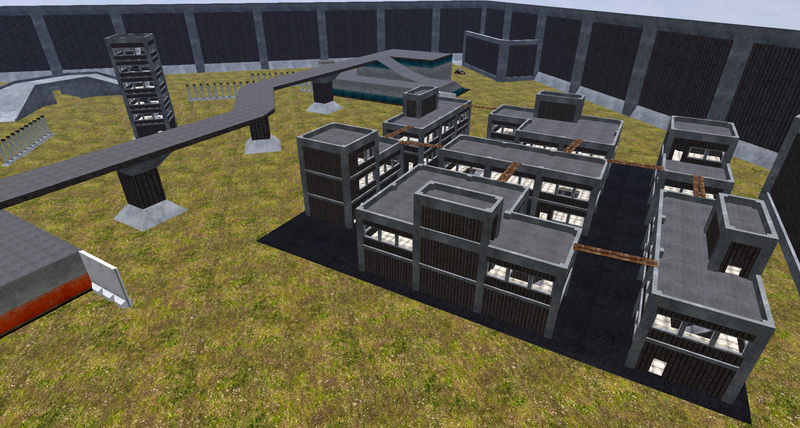 Destructible environment is present! Tournaments will be announced and held semi-regularly with prizes from our sponsors like Astral-Tek and C7-K.
Do not fire through walls on purpose. Don’t fire through walls, not by offsetting your gun or firing at walls on purpose to hit the people on the other side. Tank shells firing at walls are exempt when it’s reasonable to assume that shell would destroy that wall and everyone behind it. Do not use CMG mode. CMG mode is not to be used for the coaxial on vehicles, unless that vehicle has no other mode. Moderator rulings are to be followed. If a moderator instructs you to stop doing something, stop doing it. If you disagree with decisions you can appeal with Dax Dupont(Ghost Menjou). Use WW2 era vehicles/weapons unless specified otherwise. There’s a few exceptions to this: The all era sign may be displayed in the arena. Some modern weapons may be condoned such as an RPG. Use VICE. VICE is the only combat system to be used, however if the arena currently isn’t used by anyone other systems like ATOS can be used. If another system than VICE is used only the first two rules apply. People not using VICE must stop combat if more than one person wanting to do VICE combat shows up. Don’t ram vehicles. This ONLY applies during tournaments. This will lead to instant disqualification. Follow the whitelist. Follow the whitelist to the letter. Any unauthorized vehicles/weapons will be removed.